(Natural News) Pesticides and herbicides have infiltrated the world’s food supply at an alarming rate. Each year, over one billion tons of pesticides are used in the United States alone. Worldwide, that number reaches over 5 billion tons annually. And in many ways, pesticides are more harmful to the food supply and the environment than the pests they are designed to kill. Look no further than the declining bee populations if you want evidence of that; bees are essential for pollination for many types of crops and plants, yet the penchant for pesticides is killing them off in droves. One of the most common myths perpetuated by the agrochemical industry is that these harmful chemicals are essential for feeding the world’s population — but are these altruistic claims founded in reality, or are these assertions of a more sinister, profit-driven variety? A new report from the United Nations suggests that the necessity of pesticides for ceasing world hunger is, at best, nonexistent. As the world’s human population is expected to rise to 9 billion by the year 2050, the pesticide industry continues to argue that their products are somehow essential to ensuring there will be enough food. However, as Elver points out, the overwhelming majority of the $50 billion-a-year industry’s products are used on commodity crops, such as those for palm oil — and not crops that actually feed people. “The corporations are not dealing with world hunger, they are dealing with more agricultural activity on large scales,” Elver explained. The report’s co-author, Baskut Tuncak — the U.N.’s special rapporteur on toxins — notes that scientific research has confirmed the adverse effects of pesticides, even though proving a definitive link between the chemicals and human disease or harm to ecosystems has been challenging. Tuncak says this challenge is exacerbated by “systematic denial,” which is promulgated by the agriculture and pesticide industries. The expert says that the agrochemical business not only plays down the damage meted out by their products, but engages in “aggressive, unethical marketing practices.” Surely, no one is surprised by this allegation. Elver and Tuncak’s report notes that pesticide use has been linked to a number of diseases and conditions, including Alzheimer’s and Parkinson’s disease, cancer, hormone disruption, sterility, and developmental disorders. 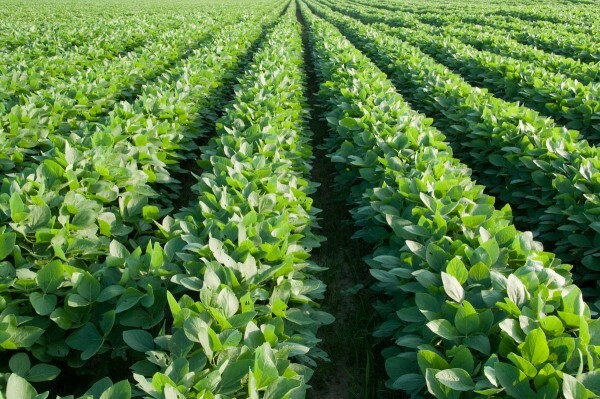 Their report recommends that there be a move towards a global treaty on pesticide use, and that a switch towards more natural farming methods — including crop rotation and use of natural pest suppressants — take place. The team also suggested that cultivation of organically produced food should be incentivized. Overall, this new report is not likely to make tremendous waves, but will hopefully inspire more people to question the necessity and safety of pesticides — and perhaps a turn towards more sustainable farming.